The organizer of Chinese Restaurant Awards is pleased to announce the results of the 2015 Diners’ Choice Awards. This year, 33,759 votes were cast over 34 days, starting on February 17, in celebration of Chinese New Year. This is a whopping 42% increase over the 2014 result of 19,612 votes over 30 days. 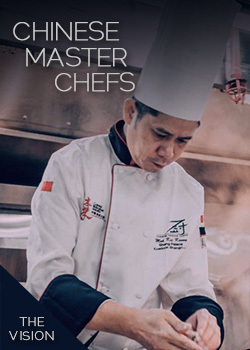 The increase shows that the public has been highly engaged in the process, giving the Chinese Restaurant Awards a pat on the back for successfully building a community that encourages communication between food lovers and Chinese culinary professionals. Thanks to a thriving Chinese culinary industry, Metro Vancouver has provided locals and tourists with the opportunity to sample authentic dishes from different parts of the Chinese-speaking world in one area, without the hassle of distant travel. The public’s enthusiastic response has co-created a community that not only raises the standard of local Chinese restaurants but also inspires the Awards to continue developing a dining guide that foodies at home and abroad trust. The public’s growing interest has always been the motivating force behind the Chinese Restaurant Awards’ ongoing development. The newly introduced Food Bloggers’ Choice Awards, for example, encourage diners to actively participate in the community. They will be able to compare their choice of winners with the critics’ and bloggers’ favourites on April 15, when the results of the Critics’ Choice Signature Dish Awards and Food Bloggers’ Choice Awards are revealed. The ballots were submitted to the awards’ official auditor EY Canada on March 20. This year the winners of the five new Diners’ Choice Awards categories include industry veterans and newcomers. The winner for Best Har Gow is Kirin Restaurants, a well-recognized institution in Vancouver’s Chinese culinary scene and also the winner in the Best Dim Sum Restaurant category. The award for Best Tea-Smoked Duck goes to Dinesty Dumpling House, also the winner in the Best Shanghainese Restaurant category. The ever-popular Pearl Castle Café takes home the award of Best Three-Cup Chicken. First-time winners Shanghai Morning Restaurant and Bubble Queen, both located in Richmond, won the hearts of many with their specialty dishes. The former makes the Best Five-Spice Beef Wrapped in Chinese Pancake, and the latter whips up a scrumptious batter that won for Best Original-Flavour Egg Waffle. 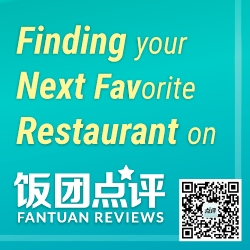 Other notable mentions in the results includes Chang’ An in Downtown Vancouver (Best Fine Dining Restaurant), Maji Taiwanese Stir Fry on Alexandra Road (Best Taiwanese Restaurant/BBT Café), and Bubble Waffle Café at Aberdeen Centre (Best Food Court Stall). All three winners have been in operation for less than two years, but their popularity started growing soon after their grand opening. Vancouverites have been demonstrating their enthusiasm towards new regional restaurants with countless online reviews and long line-ups. The announcement of the upcoming Food Bloggers’ Choice Awards and Critics’ Choice Signature Dish Awards will add new excitement to their quest for superb Chinese food.